KINGS BAY, Ga. – As residents of Arlington move about their day with the aid of way of day lives, members of the united states Navy’s “Silent Service” work underneath the ocean’s waves, continuing a culture that just a small fraction of army members will ever know: strategic deterrence. 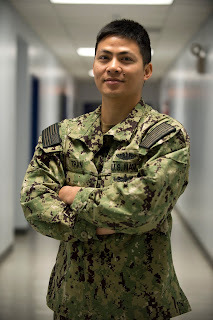 Chief Petty Officer Randy Tran assigned to USS Tennessee hails from Arlington, Texas, and is a 2004 graduate of Sam Houston High School who takes on the activity to execute one among the Defense Department’s most vital venture of strategic deterrence. Tran is a fireplace manipulate technician stationed on the Naval Submarine Base Kings Bay, homeport to the Ohio-class ballistic-missile and guided-missile submarines. KINGS BAY, Ga. – As residents of Marine City move about their day via day lives, members of the us Navy’s “Silent Service” work underneath the ocean’s waves, continuing a culture that just a small fraction of army members will ever know: strategic deterrence. Petty Officer 2nd Class Eric Youngert assigned to USS Alaska hails from Marine City, Michigan, and is a 2010 graduate of Marine City High School who takes on the process to execute certainly one of the Defense Department’s most very vital undertaking of strategic deterrence. 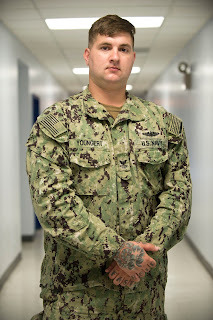 Youngert is a machinist mate (nuclear) stationed on the Naval Submarine Base Kings Bay, homeport to the Ohio-class ballistic-missile and guided-missile submarines. KINGS BAY, Ga. – As residents of St. Charles pass about their day through means of day lives, members of the united states Navy’s “Silent Service” work below the ocean’s waves, continuing a culture that just a small fraction of army members will ever know: strategic deterrence. 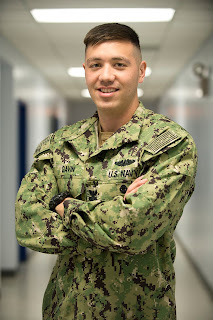 Petty Officer 1st Class Colton Woodworth who hails from St. Charles, Michigan, is a 2008 graduate of St. Charles High School takes on the process to execute one in every of the Defense Department’s most vital project of strategic deterrence. 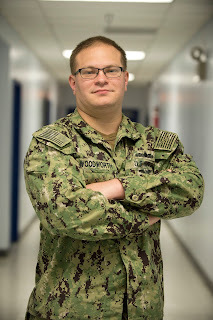 Woodworth is an electronics technician (nuclear) stationed on the Naval Submarine Base Kings Bay, homeport to the Ohio-class ballistic-missile and guided-missile submarines. Woodworth serves with the Trident Refit Facility. KINGS BAY, Ga. – As residents of Long Beach move about their day via means of day lives, members of the us Navy’s “Silent Service” submarine pressure work underneath the ocean’s waves, continuing a culture that just a small fraction of army members will ever know: strategic deterrence. Petty Officer 1st Class Kristopher Gavin assigned to Trident Refit Facility hails from Long Beach, Mississippi, and is a 2011 graduate of Long Beach High School. 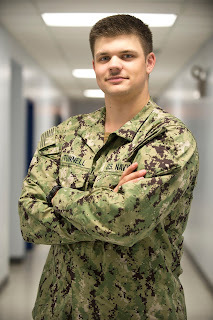 Gavin is a logistics expert stationed on the Naval Submarine Base Kings Bay, homeport to the Ohio-class ballistic-missile and guided-missile submarines. KINGS BAY, Ga. – As residents of Banning move about their every day lives, members of the us Navy’s “Silent Service” work under the ocean’s waves, continuing a culture that just a small fraction of army members will ever know: strategic deterrence. 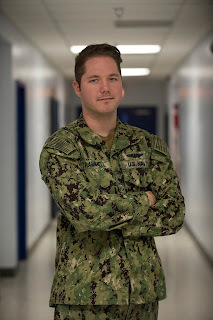 Petty Officer 2nd Class Matthew Trammell assigned to USS Alaska hails from Banning, California and is a 2013 graduate of Beaumont High School who takes on the activity to execute one among the Defense Department’s most very very amazing project of strategic deterrence. Trammell is a machinist mate (nuclear) stationed on the Naval Submarine Base Kings Bay, homeport to the Ohio-class ballistic-missile and guided-missile submarines. KINGS BAY, Ga. – As residents of Forney move about their day through way of day lives, members of the united states Navy’s “Silent Service” work below the ocean’s waves, continuing a culture that just a small fraction of army members will ever know: strategic deterrence. 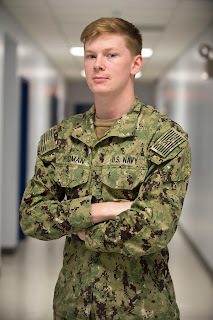 Fireman Apprentice Dallas Weidman assigned to USS Alaska hails from Forney, Texas, and is a 2017 graduate of North Forney High School who takes on the activity to execute one in every of the Defense Department’s most vital venture of strategic deterrence. Weidman is a fireplace controlman stationed on the Naval Submarine Base Kings Bay, homeport to the Ohio-class ballistic-missile and guided-missile submarines.